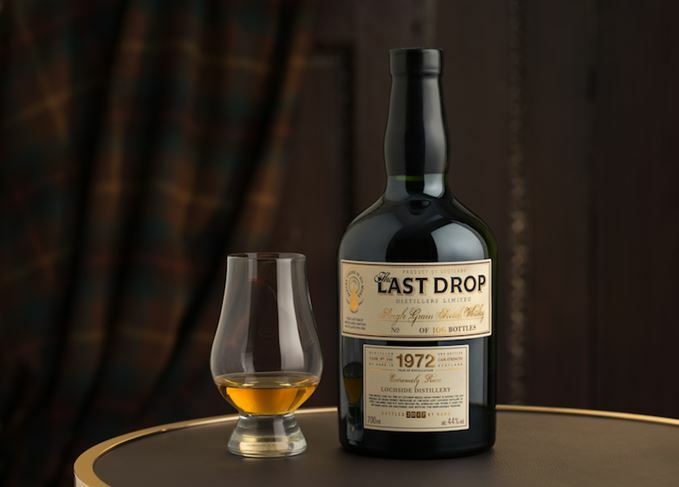 Rare spirits specialist The Last Drop Distillers has announced its eighth release: The Last Drop 1972 Lochside Single Grain Scotch Whisky. The whisky, distilled in Lochside’s Coffey still in 1972, spent more than 44 years in second fill Bourbon casks before being bottled by The Last Drop in late January. Only 106 bottles of 1972 Lochside will be available, bottled at a natural strength of 44% abv and priced at £2,400 each. Each is hand-bottled direct from the cask, without fining or filtration, and sealed with a driven cork dipped in boiling wax. The package includes a chocolate brown leather case containing the bottle and a 50ml miniature, a certificate of authenticity, a tasting booklet and a custom-made stopper. Originally a brewery, Lochside’s white tower used to dominate the town of Montrose. The distillery was a multi-functional plant that combined a Coffey still with malt whisky production. The Coffey still fell silent in 1973 when the distillery was bought by Spanish distiller DyC, and malt production ceased in 1992. Lochside has since been demolished. 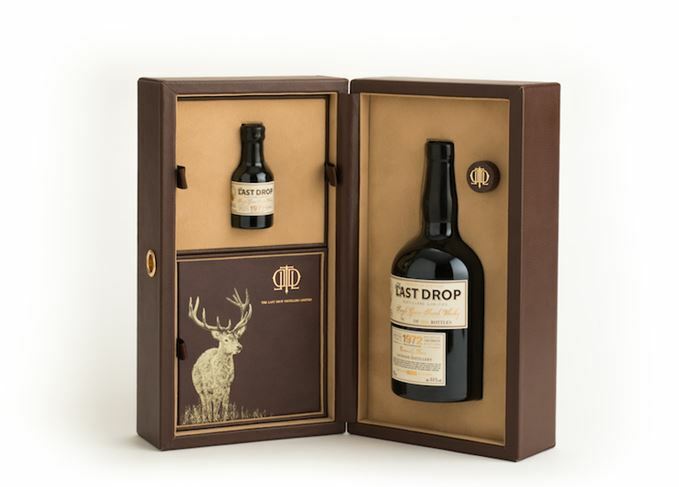 The Lochside release is the latest part of The Last Drop’s Extremely Rare range, the emblem of which is a white stag. Lochside is The Last Drop’s second successive single grain release, following the launch of The Last Drop 1961 Dumbarton Single Grain last year. The company, acquired by American spirits group Sazerac in September, has also two 50-year-old Scotch blends, a 1960 blend, a 48-year-old blend and a 1967 Glen Garioch single malt. Tenth release from the rare spirits bottler underwent three-part maturation process. American firms buying Scotch whisky companies proves the category has a bright future ahead of it. Featuring blends from The Last Drop, Royal Salute and Chivas Regal – plus Kininvie and Scapa malts. Brands, marketing and much more from the driving force behind the Classic Malts and Blue Label. An early Aberlour bottled for the Italian market, plus ‘ghost’ malts from Brora and Lochside.